Asktenants.co.uk is a website where tenants rate and review their landlord and rental property. Out of thousands of properties reviewed, more than a third of the tenants said that their deposit refund process was unfair Only handful of tenants found time and motivation to challenge unfair deductions. Asktenants.co.uk have put together exhaustive list of frequently asked questions related to Tenancy Deposit Disputes process in the hope that tenants will be better prepared on how to deal with landlord or estate agent on deposit refund deductions. How to check if my deposit is protected? Consequences for landlord’s not protecting deposit? What are reasonable deductions from deposit? How long does landlord have to return deposit? I do not agree with deposit deductions, what do I do next? What is alternate dispute resolution service (ADR) and how does it work? Why is inventory report so important? I doubt that my landlord hasn’t protected my deposit, how can I check if my deposit is protected? Capita Tenancy Deposit Service also provided a scheme for a short period, but stopped accepting new deposits in September 2013. Any deposits held by Capita have been moved to MyDeposits. All the tenancy deposit protection schemes allow you to check online if your tenancy deposit is protected in their scheme. Alternatively, you can contact the schemes direct and ask. What happens when Landlord does not protect the deposit or protects it late? 1) Fails to protect your deposit in a government-backed scheme. 2) Doesn’t give you the required information about the scheme being used. 3) Takes too long (more than 30 days) to protect your deposit or give you the required information. Your landlord can be fined up to 3 times the deposit amount and it can be more difficult for them to end your tenancy. What are reasonable deductions from tenancy deposit? Landlords can deduct missing items, damage to property caused by tenants, unpaid rent and cleaning where tenants have left the property worse off compared to when they first moved in. Landlord cannot expect the property to be professionally clean when it was not cleaned professionally at the start of tenancy. Cleaning is a cause in highest number of deposit refund disputes. 1) Worn carpets 2) minor scrapes and scuffs on the walls 3) faded curtains. Wear and tear should consider a) Useful life of the item b) number of occupants c) length of tenancy. In the rare circumstances where damage (to the worktop/carpet/mattress/item etc.) is so extensive or severe as to affect the achievable rent level or market quality of the property, the most appropriate remedy might be replacement and to apportion costs according to the age and useful lifespan of the item. Example actual age of a carpet at the end of tenancy is 8 years, expected useful life is 10 years. Depreciation is £100 a year. Cost of the carpet replacement is £1,000. In the event of irreparable damage caused by tenant adjudicator might only apportion 2 years’ worth of cost to the tenant equating to £200. Your tenancy deposit should usually be refunded within 10 days if you are an assured shorthold tenant. Most private renters have this type of tenancy. If a landlord wants to make a deduction he should write to the tenant explaining the reasons of deductions and submit supporting evidence. The undisputed amount is refunded and disputed amount is held with deposit protection scheme. 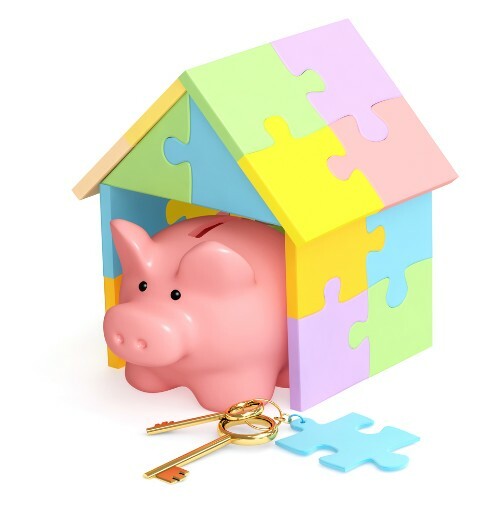 Tenant has an option to raise a dispute with the deposit protection scheme if they cannot reach an agreement with landlord on deductions. If you are unaware of which scheme is your deposit protected, speak to your landlord or estate agent if it’s a managed property. Tenancy protection schemes offer free alternate dispute resolution service (ADR). An adjudicator is assigned to each case and the decision is impartial and evidence based. The decision of adjudicator is final and cannot be challenged. The service can only be used if both tenant and landlord agree. If landlord or tenant are unwilling to use the service the dispute needs to resolved through court. The onus is on the party wishing to use the courts to issue court proceedings. If court proceedings have not been issued with a court within six months of the dispute being accepted then scheme may pay the disputed deposit amount to the other party. Tenants generally have three months from the date you vacate the property to raise a deposit dispute. How does the alternate dispute resolution service work? Step 1 Initiation – Dispute is initiated when a tenant notifies the scheme that he/she wishes to dispute the deduction and both and landlord and tenant agree with dispute resolution service offered by the scheme to adjudicate the dispute. Landlord will be asked to submit a case and provide evidence to support their claim to the deposit deductions. This should include a tenancy agreement, check in/out reports, photographs and any documents relevant to the dispute that support the claim. The onus of providing evidence is with landlord as deposit is an asset of the tenant. They have 14 days to provide evidence. Tenant will be given the opportunity to review the dispute case and counter landlord’s claim. Tenants are also invited to submit own evidence in support example of evidence can be images, email exchange with landlords/agents, text messages copy or any other evidence which can help you counter the deduction claim. It’s vital to keep any communication with landlord and estate agents in writing as it can be a key evidence at this stage. Tenants have 14 days to act. Landlord will be given another opportunity to view the dispute case and submit further comment for the adjudicator to review. They have 7 days to provide comments. The case is reviewed by an independent adjudicator. Tenant and landlord will be notified with a full decision. The money will then be distributed as per the decision. It takes 28 days to make a decision. Why is the inventory report so important? The tenancy inventory is crucial for resolving deposit disputes. It thoroughly documents the state of the property before the tenant comes into occupation. When the tenancy ends, the same inventory check is issued once more. When the two reports are compared, it’s easy to see how the condition of the property has changed. It is the most vital evidence to assign which damages are caused by the tenant. Always make sure you attend the inventory report. Otherwise, you cannot correct any issues that might lead to an unfair deposit deduction. If you can, try and make your own, detailed version of the report. Complete it with high quality photograph of questionable areas. Condition and quality of the furniture. Condition and usability of all electrical appliances. Visible damage on the furniture and walls, spots on carpets. It needs to be signed by a witness. If possible, it’s best to get the landlord or letting agent to sign it. This way it will turn into concrete proof. Hope you found the blog informative. Please give us thumbs up by rating your current and former rental property and landlord on Asktenants.co.uk.